The law relating to care homes is complex and besides the care home owner and the resident often involves other agencies such as local authorities and the NHS in relation to issues of assessment, funding and nursing care. The following is an overview of some of the issues which may affect owners and residents. 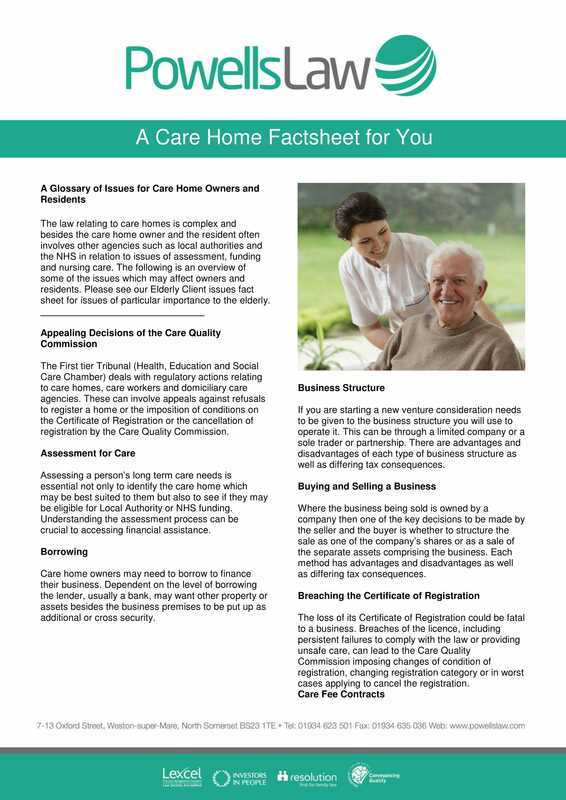 Please see our Elderly Client issues fact sheet for issues of particular importance to the elderly.